Grab Bars Provide Assistance And Leverage To Individuals Having Difficulty Lowering To A Seated Position Or Rising To A Standing Position. 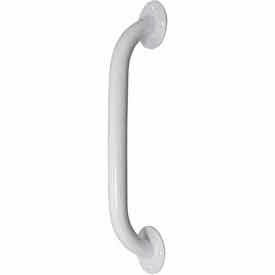 Grab Bars are made from steel for long lasting durability. 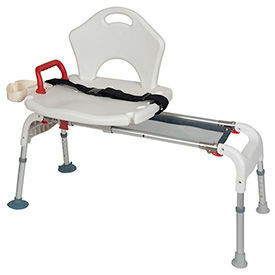 A variety of medical equipment available to provide safe and secure assistance for sitting and standing at the bedside, in the bathtub or near a sofa or a chair. Styles are Grab Bar, Security Pole, Security Pole and Curve Grab Bar and Curve Grab Bar. Color finishes are Black and White. Dimensions vary by model. 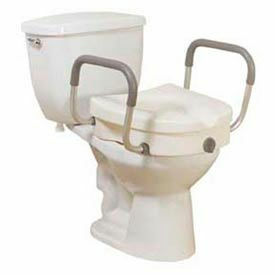 Raised And Elevated Toilet Seats Provide Support For Getting Up From Toilets. Raised And Elevated Toilet Seats are made from aluminum, heavy duty molded plastic and other high quality materials for long lasting durability and dependability. Variety of designs available to fit most toilets to help elevate seat and provide enhanced comfort and support for individuals who have difficulty sitting down or standing up from toilet. Easily attaches to toilet bowl and locks into place. Available with or without removable padded armrests. Size types are Standard and Standard/Elongated. Weight capacities are 300 lbs and 350 lbs. Color is White. Dimensions vary per type. Quantity is 1. Bath Benches And Stools Provide A Safe And Convenient Seat For Use In Restrooms, Bathtubs And Showers. Bath Benches And Stools are made from plastic, aluminum and other corrosive-resistant high quality materials for long lasting durability and dependability. Variety of bench and stool designs offer added stability to baths, showers and other restroom applications. Types are Bath Bench, Shower Bench and Transfer Bench. Colors are Blue, Gray, Teak, Teal, White, White/Blue and Yellow. Dimensions and weight capacities vary per type. Quantity is 1. This Selection Of Bathroom Accessories Is Perfect For Any Bathtub Or Shower Stall. Bath Mats add safety and security by providing a large slip proof surface in the bath. Mat is held securely in place using multiple suction cups. Made using soft rubber that is easy to clean. Handheld Shower Sprays allow use as a regular shower head or as a hand held shower spray. White Shower Spray includes a wall holder and 80 L reinforced nylon hose. 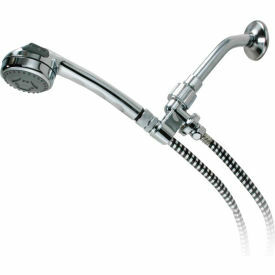 Chrome Massaging Shower Spray features an adjustable massaging head and an 84 L chrome/Mylar reinforced tangle-free hose. Shower Sprays have a Limited Lifetime Warranty.